Following two of the quietest months of the year, August can be an interesting month with a total of 178 species having been recorded during this month. The numbers and variety of waders increase, as do the numbers of migrating warblers, Yellow Wagtails, Whinchat and Wheatears. Mediterranean and Yellow-legged Gulls are expected. Rarities in August have included Slavonian Grebe (1996), Red Crested Pochard (1998), Goshawk, Osprey, Caspian Gull (2006), Sabine’s Gull, Roseate Terns (2016), Red-necked Phalarope (2014), Kentish Plover, White-rumped Sandpiper (1995, 2001), Grey Phalarope, Wryneck (1976,1984, 2003, 2010 and 2014), Marsh Warbler (2009) and Red-backed Shrike (2003). A warm sunny day with a light South East breeze. 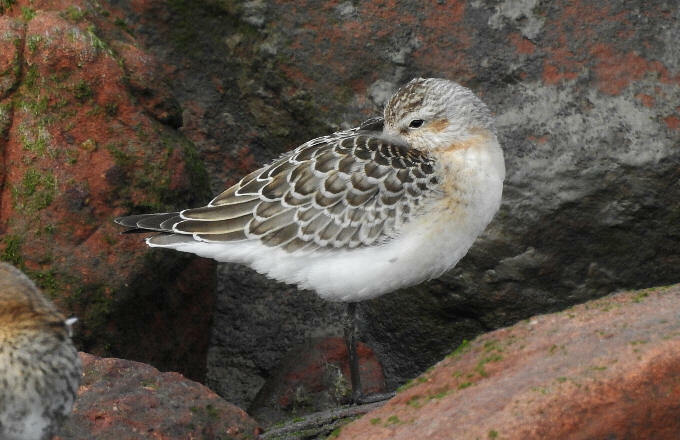 A juvenile Curlew Sandpiper, 320 Ringed Plover, 240 Dunlin, a Turnstone, 130 Curlew, 7 Little Egrets, 15+ Blackcaps, 5+ Whitethroats, 5+ Lesser Whitethroats, single Garden Warbler and Wheatear were seen at Severn Beach. 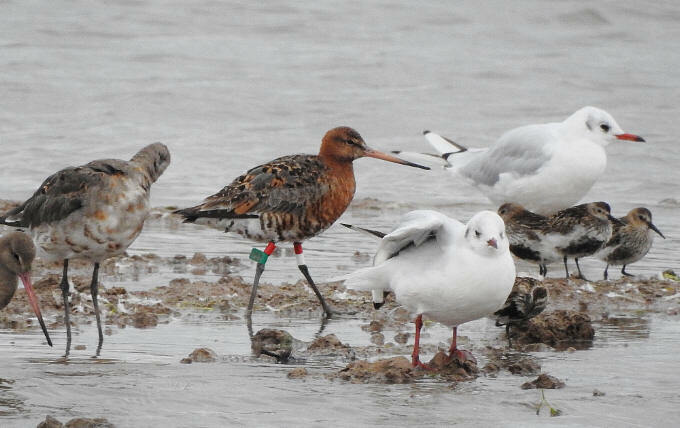 Combined reports from the Northwick Warth/Pilning Wetland area involved 196 Black-tailed Godwits (including a new French colour ringed individual Right leg;Yellow over White over Black, Left leg; Blue engraved ring with 3 dots), 114 Redshank, 100 Ringed Plover/Dunlin, 8 Snipe, 42 Lapwing, single Whimbrel and Common Sandpiper, 3 Little Egrets, 12 Little Grebes, 151 Canada Geese, 45+ Teal, 5 Shoveler, 14 Gadwall, 2 Ravens, a Sparrowhawk and Kestrel, 3 Wheatears, 2 Whinchat, 7 Yellow Wagtails, single Whitethroat, Sedge Warbler, Rock Pipit and Kingfisher. A morning high tide visit to Severn Beach produced 320 Ringed Plover, 60 Dunlin, a Whimbrel, 6 Little Egrets, 5 Whitethroats and a Garden Warbler. Another Whimbrel, 200+ Black-tailed Godwits, 3 Common Sandpipers and a juvenile Little Ringed Plover, 40 Lapwing, a Wheatear, 2 Spotted Flycatchers, a Sedge Warbler and 4 Yellow Wagtails were seen in the New Passage/Pilning Wetland area. Two Common Sandpipers and a Little Egret were reported at Aust Warth. Two hundred Black-tailed Godwits, 137 Curlew, 88 Oystercatchers, 130 Redshank, single Common Sandpiper, Whimbrel and juvenile Little Ringed Plover, 2 Knot, 2 Snipe, 40 Lapwing, 8 Turnstone, 2 Little Egrets, 3 Grey Herons, 130 Canada Geese, 14 Gadwall, 9 Shoveler, 40 Teal, 2 Wheatears, a Swift and a Sparrowhawk were seen in the Northwick Warth/Pilning Wetland area. At least 400 Ringed Plover, 100 Dunlin, single Turnstone, Little Egret, Peregrine and 1st winter Common Gull were seen at Severn Beach. Combined reports from the Northwick Warth/Pilning Wetland area involved a juvenile Bar-tailed Godwit, 7 Knot, 200+ Black-tailed Godwits, single juvenile Little Ringed Plover and Common Sandpiper, 20 Dunlin, 35 Ringed Plover, 3 Snipe, 80 Redshank, 40 Lapwing, 2 Little Egrets, 220 Canada Geese, 30 Teal, 6 Shoveler, single Sparrowhawk, Swift, Willow Warbler, Yellow Wagtail and Kingfisher. Two Common Sandpipers were reported at Aust Warth. A mixed flock of 200+ Ringed Plover/Dunlin were seen off Severn Beach. A very wet and increasingly windy day. A brief morning visit to New Passage/Northwick Warth produced the usual Black-tailed Godwit and Redshank flocks, a juvenile Little Ringed Plover, 2 Snipe, 73 Lapwing, 2 Little Egrets, 2 Common Terns, 2 Yellow Wagtails, single Raven and Wheatear. A mixed flock of 200+ Ringed Plover, 100+ Dunlin and 2 Common Sandpipers were seen at Severn Beach. Combined reports from Severn Beach included 9 Little Egrets, 120 Curlew, 300 Ringed Plover, 160 Dunlin and 2 Tree Pipits. A first winter Yellow-legged Gull was reported from Northwick Warth where other sightings included at least 250 Black-tailed Godwits, 102 Curlew, 92 Oystercatchers, 135 Redshank, 10 Ringed Plover, 15 Dunlin, a Sparrowhawk and 100+ Canada Geese. Five Common Sandpipers were seen in Cake Pill at Aust Warth. Little change in the Northwick Warth area with 260+ Black-tailed Godwits (including colour ringed OB-YB), 2 juvenile Knot, 30 Ringed Plover, 10 Dunlin, 140 Redshank, 60 Lapwing, a Snipe, 2 Little Egrets, 60 Teal and a Shoveler being reported. Another 3 Little Egrets and a mixed flock of 200+ Dunlin/Ringed Plover were seen at Severn Beach. At least 266 Black-tailed Godwits, single adult Ruff, Knot, Whimbrel, Common Sandpiper and Little Egret, 30+ Teal, a Garden Warbler, a Wheatear and 2 Yellow Wagtails were reported from the Northwick Warth area. Eight Little Egrets, single Hobby and Lesser Whitethroat were seen at Severn Beach. Reports from the Northwick Warth/Pilning Wetland area included 230 Black-tailed Godwits, 2 Common Sandpipers, 11 Snipe, 40 Redshank, 25 Oystercatchers, 30 Teal, a Redstart, 2 Wheatears, a Lesser Whitethroat and a Yellow Wagtail. An early morning scan from Severn Beach produced 140 Curlew and a mixed flock of 300+ Dunlin/Ringed Plover. 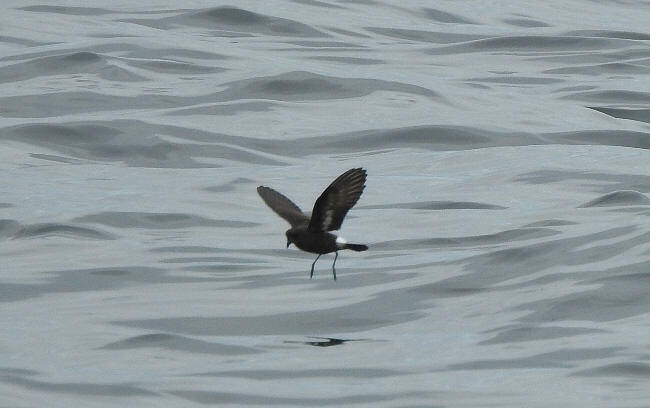 I was away for most of the day on a Pelagic trip out of Falmouth, Cornwall. Nothing extraordinary on this trip but a Balearic Shearwater, many Manx Shearwaters, 30+ Storm Petrels, Gannets, Fulmars etc along with several family groups of Common Dolphin and 2 Ocean Sunfish kept the day interesting. At least 280 Black-tailed Godwits, single juvenile Little Ringed Plover, adult Ruff and Common Sandpiper, 140 Redshank, 70 Lapwing, 10 Dunlin, 3 Snipe, 2 Little Egrets, 120 Canada Geese, 27 Teal, 2 Shoveler, a flock of 100+ Goldfinches, 6 Yellow Wagtails, single Kestrel, Willow Warbler and Sedge Warbler were seen in the Northwick Warth/New Passage/Pilning Wetland area. An Osprey flew low South (at 15.45) past Severn Beach while being mobbed by 3 large gulls. Other sightings here included a flock of at least 400 Ringed Plover, 100 Dunlin, a Knot and a Wheatear. A breezy wet morning visit to New Passage/Northwick Warth produced single adult Grey Plover, adult Sanderling, adult Ruff, juvenile Knot, juvenile Little Ringed Plover and Common Sandpiper, 245+ Black-tailed Godwits (including the OB-YB Scottish ringed bird), 70 Lapwing, 70 Turnstones, 20 Ringed Plover, 130 Redshank, 7 Snipe, 20+ Teal, 31 Shelduck, single Little Egret, Raven, Wheatear, Kingfisher and Rock Pipit. An afternoon visit to Severn Beach produced 5 Little Egrets, 2 Grey Heron and a mixed flock of 150 Ringed Plover/Dunlin. A Grey Plover, 30 Dunlin, 2 Common Sandpipers, single Little Ringed Plover and Snipe, 50 Ringed Plover, 234 Black-tailed Godwits (including the Portuguese and Scottish ringed birds), 40 Lapwing, 80 Redshank, 2 Little Egrets, 20 Little Grebes, 20+ Teal, 2 Yellow Wagtails and a Swift were seen in the Northwick Warth/Pilning Wetland area. The mixed flock of Black-tailed Godwits and Redshank remained in the Northwick Warth area. 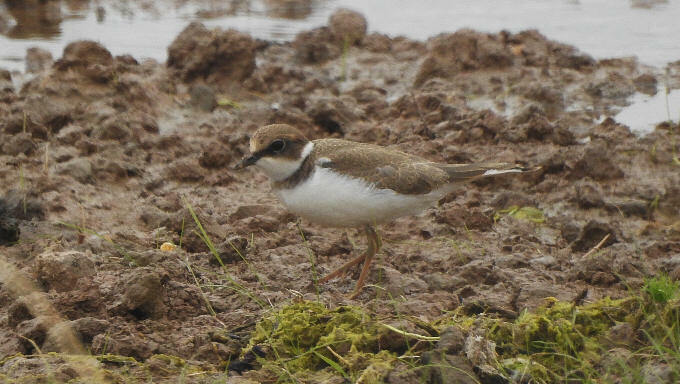 Sightings from the Northwick Warth/Pilning Wetland area included single juvenile Little Ringed Plover, Common Sandpiper and Snipe, 55 Black-tailed Godwits, 43 Lapwings, 80+ Ringed Plovers, 250 Dunlin, a Little Egret, 97 Canada Geese, a Mediterranean Gull, 5 Kestrels, a juvenile Peregrine and a Swift. Combined reports from the Northwick Warth/Pilning Wetland area included 180 Black-tailed Godwits, 170 Redshank, 40 Curlew, 330 Dunlin, 85 Ringed Plover, 5 Whimbrel, single Common Sandpiper, Knot and Little Ringed Plover, 2 Little Egrets, 188 Canada Geese, 23 Teal, 9 Swifts, 20 Stock Doves, single Raven, Kestrel, Sparrowhawk, Spotted Flycatcher, Wheatear, Whinchat and Lesser Whitethroat. A breezy day. A morning visit to the Northwick Warth area produced a juvenile Ruff, a juvenile Knot, 160+ Black-tailed Godwits (including an individual ringed in Portugal, present from yesterday), 120+ Redshank, 180 Dunlin, 88 Ringed Plover, 50 Curlew, single Whimbrel and Common Sandpiper, 2 Little Egrets, a Common Tern and 240 Black-headed Gulls. I gratefully received a speedy reply from Jose Alves and this bird is at least 11 years old having been ringed as an adult male on 12.11.08 Alhos Vedros (South Tank), Tagus Estuary, Setúbal, W Portugal with the following sightings; a well travelled and observed bird. 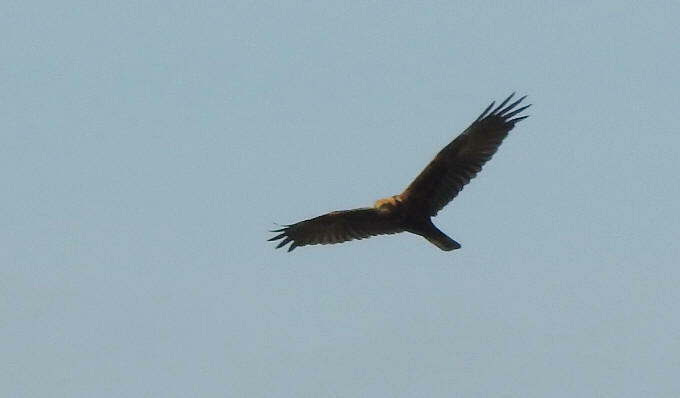 The sightings at New Passage were only the 3rd UK reports with all others in West Portugal or back in West Iceland. Another morning very high tide at Northwick Warth/Pilning Wetland produced 211 Black-tailed Godwits (including 2 colour ringed individuals), 170 Redshank, 70 Curlew, 120 Oystercatchers, 50 Lapwing, 19 Turnstones, 88 Dunlin, 26 Ringed Plover, single juvenile Knot, Whimbrel and Snipe, 2 Little Egrets, 2 Lesser Whitethroats, 2 Kestrels, a hunting juvenile Peregrine and a Raven. A 14.0 metre spring tide produced a large roost of waders on the Northwick Warth saltmarsh. Sightings from Northwick Warth included c.200 Black-tailed Godwits (including a colour ringed individual, Orange over Blue left leg, Yellow and Blue right leg first seen here last year 24/8/17 to 5/9/17), single Ruff, Whimbrel, Little Ringed Plover and Common Sandpiper, 180 Redshank, 95 Dunlin, 180 Oystercatchers, 70 Curlew, 40 Turnstones, 50 Lapwing, 15 Ringed Plover, 2 Little Egrets, 10 Little Grebes, 170 Canada Geese, 8 Teal, 3 Kestrel, a Sparrowhawk and a Wheatear. The juvenile Ruff, 3 Whimbrel, a Little Ringed Plover, 90 Black-tailed Godwits, 29 Ringed Plover, 60 Dunlin, a Snipe, 2 Little Egrets, a Kingfisher, 3 Swift, a Yellow Wagtail and a Sparrowhawk were reported from the Northwick Warth area. A juvenile Mediterranean Gull, a Common Sandpiper, 2 Ringed Plover and 40+ Dunlin were see n at Severn Beach. A sunny start followed by breezy wet weather. A morning visit to Northwick Warth/Pilning Wetland produced single juvenile Ruff, juvenile Little Ringed Plover and Common Sandpiper, 70+ Black-tailed Godwits, 60 Curlew, 50 Dunlin, 25 Ringed Plover, 4 Little Egrets, 4 Kestrel, 5 Lesser Whitethroats, 2 Swifts, single Garden Warbler, Whinchat and Tree Pipit. The morning high tide produced 11 Little Egrets, 30 Dunlin and 15 Ringed Plover at Severn Beach. A day of sunshine and torrential rain showers. Combined reports from the Northwick Warth/Pilning Wetland area included the juvenile Ruff, an adult Knot, 5 Common Sandpipers, a juvenile Little Ringed Plover, 130 Black-tailed Godwits, 130 Redshank, 20 Dunlin, a Little Egret, 8 Teal, 12 Little Grebes, 3 Ravens, 3 Lesser Whitethroats, a Garden Warbler and 2 Swifts. At least 140 Dunlin, 90 Ringed Plover and 4 Sanderling were seen at Severn Beach. Another dry, breezy day with some sunshine. An early morning visit to New Passage/Northwick Warth/Pilning Wetland produced the juvenile Ruff, 80 Black-tailed Godwits, 180 Redshank, just 20 Dunlin, 40 Lapwing, 10 Little Egrets, 2 Ravens, 2 Kestrel, a Sparrowhawk, 4 Stock Dove, single Redstart, Garden Warbler and Lesser Whitethroat. 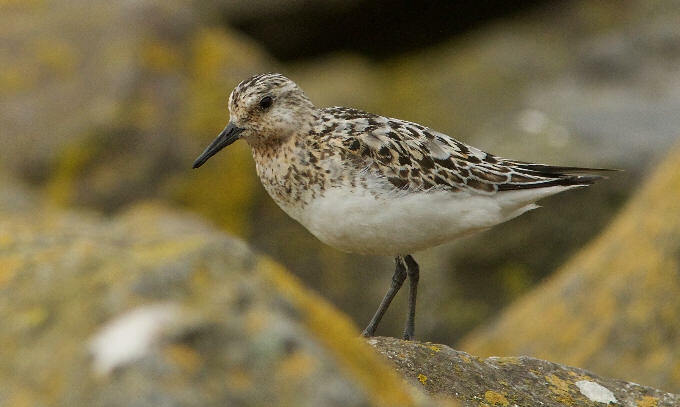 An evening high tide visit to Severn Beach produced 3 Sanderling, 73 Ringed Plover and at least 100 Dunlin. Combined reports from New Passage/Northwick Warth/Pilning Wetland involved a juvenile Ruff, 72 Black-tailed Godwits, 149 Redshank, 6 Dunlin, a Whimbrel, 2 Common Sandpipers, 9 Little Egrets, 199 Canada Geese, 4 Lesser Whitethroats, 2 juvenile Willow Warblers, single Redstart and Raven. Twelve Little Egrets and a Lesser Whitethroat were seen at Severn Beach. A cooler and fresher day. Reports from Pilning Wetland/Northwick Warth included a juvenile Ruff, 133 Black-tailed Godwits, 2 Common Sandpipers, a Little Ringed Plover, 150 Dunlin, 80 Lapwing, 100+ Redshank, 16 Little Egrets, 14 Canada Geese, 2 Ravens, 7 Swifts, single Tree Pipit, Kingfisher and Kestrel. A low tide visit to Severn Beach produced 12 Little Egrets and a Lesser Whitethroat. Dry, hot and sunny all day. A brief morning visit to the Northwick Warth/Pilning Wetland area produced an equal record flock of 18 Little Egrets, a Green Sandpiper, 154 Black-tailed Godwits, 143 Redshank, 100+ Lapwing, 250+ Dunlin, 13 Turnstones, a Common Sandpiper, 7 Teal, a flock of 70 Goldfinch, 300 Starlings, 5 Lesser Whitethroats and a Garden Warbler. 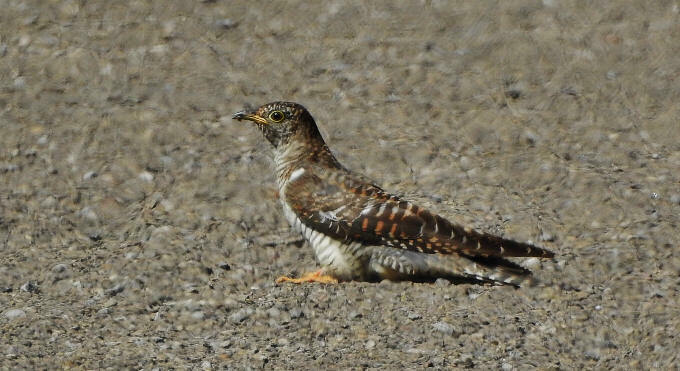 The juvenile Cuckoo remained at Severn Beach where 10 Little Egrets and a Wheatear were also seen. Another hot and sunny day. The first Wheatear of the autumn was sen on the dry flash on Northwick Warth where 4 Kestrels were also present. Nearby, 6 Little Egrets, 10 Turnstones and the usual Black-tailed Godwits, Redshank and Dunlin flocks were seen at New Passage/Pilning Wetland. Another 4+ Little Egrets, 2 Black-tailed Godwits, 21 Ringed Plover, 35 Dunlin, single Cuckoo and Garden Warbler were Seen at Severn Beach. Combined reports from the New Passage/Northwick Warth/Pilning Wetland area involved 12 Golden Plover, 10 Common Sandpipers, 120 Black-tailed Godwits, 2 Whimbrel, 26 Turnstone, 100+ Redshank, 200 Dunlin, 2 Little Egrets, 4 Grey Heron, 10 Little Grebes, an adult Common Tern, a moulting adult Mediterranean Gull, 3 Ravens, 3 Kestrel, a male Yellow Wagtail, 2 Lesser Whitethroat and 3 Garden Warblers. 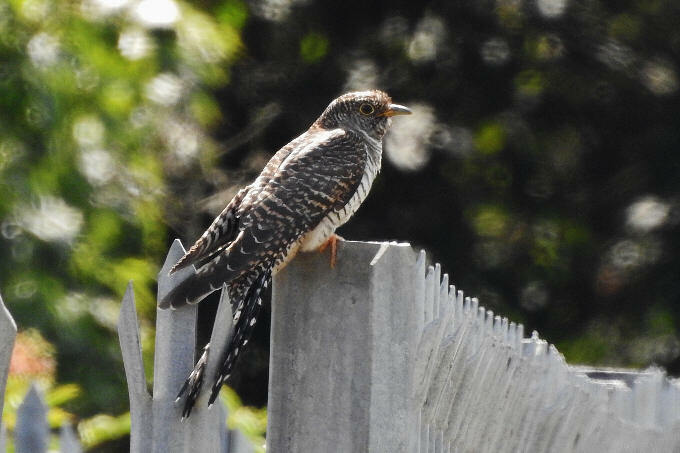 A Redstart and a Sparrowhawk were present at Severn Beach. A warm sunny day and a good selection of birds. Combined reports from the New Passage/Northwick Warth/Pilning Wetland area involved an Avocet, an impressive 170 Black-tailed Godwits, 2 juvenile Little Ringed Plover, 5 Common Sandpiper, 2 Whimbrel, 10 Curlew, 14 Turnstones, 150 Redshank, 300 Dunlin, 90 Lapwing, 8 Ringed Plover, a Snipe, 2 Little Egrets, a moulting adult Mediterranean Gull, 200 Black-headed Gulls, 118 Canada Geese, 7 Teal, 3 Shoveler, a Wigeon, 11 Little Grebes, 2 Ravens, single Sparrowhawk and Merlin, 3 Lesser Whitethroats, a Garden Warbler, 2 Whitethroats and 4 Swifts. A high tide visit to Severn Beach produced another 5 Little Egrets, 2 Black-tailed Godwits, 20 Ringed Plover, 15 Dunlin and 3 Turnstones on the shore and 3 Garden Warblers feeding on berries. An afternoon low tide visit to Northwick Warth/Pilning Wetland produced 100+ Black-tailed Godwits, 420+ Dunlin, 13 Turnstones, 4 Ringed Plover, 2 Common Sandpipers, 2 Little Ringed Plover, 140 Redshank, single Whimbrel, Snipe and Little Egret, 3 Teal and 132 Canada Geese. A fine sunny start to the month with a good variety of birds seen. Reports from the New Passage/Northwick Warth/Pilning Wetland area involved 5 Avocets (adult & 4 juveniles), an adult Greenshank, 2 juvenile Little Ringed Plover, a Whimbrel, 106 Black-tailed Godwits, 90+ Lapwing, 130 Redshank, 350+ Dunlin, 8 Turnstones, 5 Ringed Plover, 4 Common Sandpipers, 2 Snipe, 60 Curlew, a Little Egret, 3 Grey Heron, a moulting adult Mediterranean Gull, 90+ Canada Geese, 3 Shoveler, 5 Teal, 12 Little Grebes (including 4 grebelets and a new nest), a juvenile Marsh Harrier and the earliest returning Merlin.